The American Heart Association (AHA) published an expression of concern(1-3) simultaneously in Circulation, Circulation Research, and Hypertension, and we have now been notified by Kyoto Prefectural University of Medicine that certain data and figures in these 5 articles were falsified. Kyoto Prefectural University of Medicine sends their deepest apologies to the academic community at large. Fujiyama S, Matsubara H, Nozawa Y, Maruyama K, Mori Y, Tsutsumi Y, Masaki H, Uchiyama Y, Koyama Y, Nose A, Iba O, Tateishi E, Ogata N, Jyo N, Higashiyama S, Iwasaka T. Angiotensin AT1 and AT2 receptors differentially regulate angiopoietin-2 and vascular endothelial growth factor expression and angiogenesis by modulating heparin binding–epidermal growth factor (EGF)–mediated EGF receptor transactivation. Circ Res. 2001;88:22-29. doi:10.1161/01.RES.88.1.22. Shibasaki Y, Matsubara H, Nozawa Y, Mori Y, Masaki H, Kosaki A, Tsutsumi Y, Uchiyama Y, Fujiyama S, Nose A, Iba O, Tateishi E, Hasegawa T, Horiuchi M, Nahmias C, Iwasaka T. Angiotensin II type 2 receptor inhibits epidermal growth factor receptor transactivation by increasing association of SHP-1 tyrosine phosphatase. Hypertension. 2001;38:367-372. doi:10.1161/01.HYP.38.3.367. Iba O, Matsubara H, Nozawa Y, Fujiyama S, Amano K, Mori Y, Kojima H, Iwasaka T. Angiogenesis by implantation of peripheral blood mononuclear cells and platelets into ischemic limbs. Circulation. 2002;106:2019-2025. doi:10.1161/01.CIR.0000031332.45480.79. Amano K, Matsubara H, Iba O, Okigaki M, Fujiyama S, Imada T, Kojima H, Nozawa Y, Kawashima S, Yokoyama M, Iwasaka T. Enhancement of ischemia-induced angiogenesis by eNOS overexpression. Hypertension. 2003;41:156-162. doi:10.1161/01.HYP.0000053552.86367.12. Mano A, Tatsumi T, Shiraishi J, Keira N, Nomura T, Takeda M, Nishikawa S, Yamanaka S, Matoba S, Kobara M, Tanaka H, Shirayama T, Takamatsu T, Nozawa Y, Matsubara H. Aldosterone directly induces myocyte apoptosis through calcineurin-dependent pathways. Circulation. 2004;110: 317-323. doi:10.1161/01.CIR.0000135599.33787.CA. 1. Expression of concern. Circulation. 2012;125:e461. doi: 10.1161/CIR.0b013e31824e88a5. http://circ.ahajournals.org/content/125/10/e461.full. 2. Expression of concern. Circ Res. 2012;110:e47. doi: 10.1161/RES.0b013e31824c48c2. http://circres.ahajournals.org/content/110/6/e47.full. The 2002 Circulation paper has been cited 185 times, according to Thomson Scientific’s Web of Knowledge. Novartis has acknowledged that employees of the company participated in five “independent” investigator-initiated post-registration trials without disclosing their relationship to the company. The company said that a broader “comprehensive investigation with independent third party experts is ongoing” but that it has “provided an update” to Japanese medical societies and to the principal investigators of the five trials. The Kyoto Heart Study was one of the trials Novartis was investigating for a potential undisclosed conflict of interest. 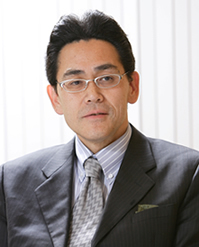 Matsubara, who has three retractions in addition to these five new ones, resigned his university post earlier this year. The American Heart Association (AHA) should investigate other papers of Dr. Issei Komuro, who led another valsartan (Diovan) study, VART (The Valsartan Amlodipine Randomized Trial). Circ Res. 1999 Mar 5;84(4):458-66. The American Heart Association (AHA) should investigate other papers of Dr. Shokei Kim-Mitsuyama, who was a Endpoint committee member of Kyoto Heart Study, a randomized, open-labeled study testing the add-on effect of valsartan to conventional therapy in high-risk hypertension. “GAPDH” in Fig.3(B) is similar to “GAPDH” in Fig.4(B). Fig.4A – “Wild” image is similar to “ASK1 -/-“. Fig.2 – The left lane of “ERK-Lo” in the Fig.2 is similar to the right lane of “ERK-W” in Fig.4(B). Fig.1C – The lane of “5min” is similar to the horizontally flipped image of “3h” lane. Fig.5 – The left lane and right lane of “S (SHRSP)” of “24 wk” are similar. Please, could you post these comments and suspicions as PubPeer.com entries as well, if you would not mind doing it totally anonymously? Interesting. Is this with Valsartan alone or all ARBs?